Well, July was a month to hunker down and keep warm in old Brisbane town:) We had a cold spell with Antarctic winds so it brought sleet and snow to the border towns of Queensland and New South Wales. I keep telling people it does snow in Queensland! We ended up with the inevitable winter lurgy, which I am still trying to shake. Never mind, it is the most glorious day outside with clear blue skies and lovely sunshine. And what about that wonderfully luminous blue moon the other night? You can well understand how primitive peoples would have worshipped that glowing goddess. I was still getting belated birthday gifts in July - lucky me! Books galore and other treats. Mr P. and I took our usual pilgrimage to Stanthorpe, where it snowed just a bit further south, and we got hopelessly lost in the backblocks with a storm coming, no GPS or phone signal, and very little petrol. We managed to make it out alive, just! 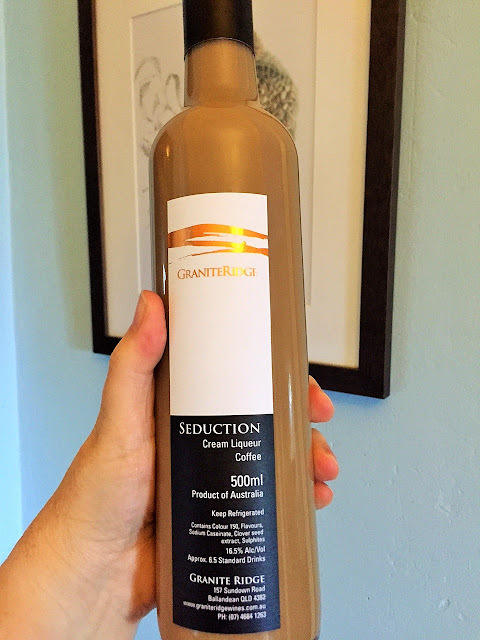 bought this at a market in Stanthorpe; Mr P. has decided this belongs to him! and this is a funny one I bought for myself; the chicken pie recipe calls for 3 chooks! It was a great (if cold) month, full of treats and adventures. It is going to be 27C tomorrow so it feels like Spring is coming early. 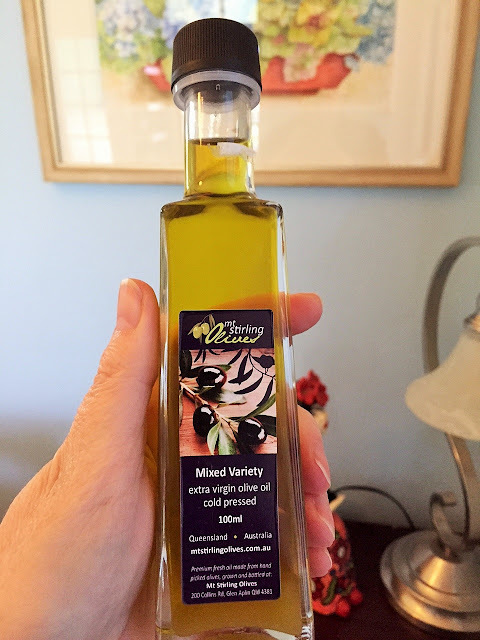 Join in with Celia from Fig Jam & Lime Cordial, who keeps us all in check for In My Kitchen each month. Where bloggers from all over the world "meet" to show off the goodies and produce they have discovered and/or worked with recently. (I am also posting this as my weekly My Sunday Photo contribution with Bush Buddha being the star attraction). And a final note: Selma,one of our fellow IMK'ers passed away last month. All the best to her family at this sad time. The bush buddha is so cute! Lots of other interesting purchases too. Your weather sounds crazy - from snow to 27 degrees! thanks sarah. yep we have crazy weather for sure. it is rather warm this evening and tomorrow will be quite warm. she is such a fab artist. i love her works. What weather-wow! Some lovely gifts you have there too. yep we like to keep it interesting. and never mind the earthquakes we have had this week also. plus bushfires in the Blue Mountains where they had snow 2 weeks ago. he is so cute. she is such a great artist. 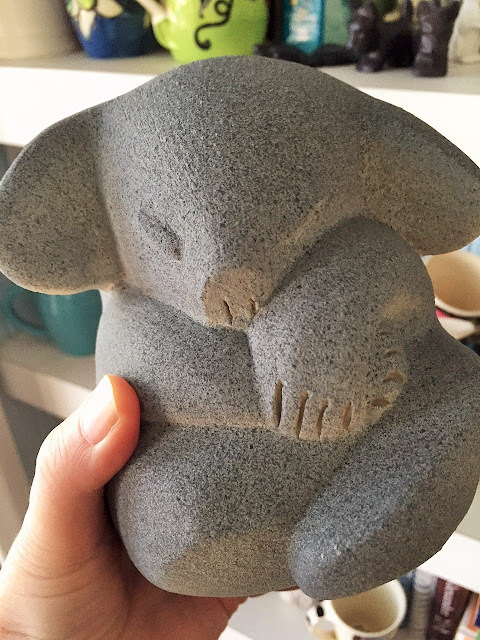 she makes such lovely things; all meant to represent the landscape around her - ie the granite rocks and the dry landscape. hi mary yes it is totally adorable. i have 2 of her wombats also - just divine. Oh no! I hope you feel better soon and the weather improves! thanks kim. i am off to the doctor this arvo as my jaw is killing me! hoping it is just an infection. aren't they cute? i love my wombat ones also. Lots of lovely things in your kitchen :) I love Nigel Slater books, not got this one..
isn't nigel the best? i love his shows too. he is terrific! can't wait to delve into the recipes. 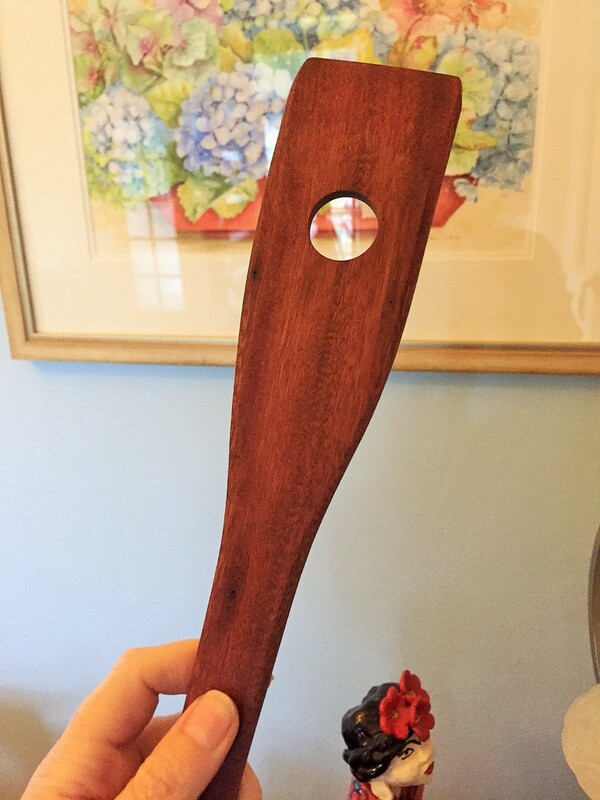 What a great post today Sherry and love your spurtle, your bush buddha and the New England cookbook looks delightful! Thanks for this month's kitchen view too! thanks merlinda. i love the buddha too. he is very cute. Sherry, Is there anything left in the shops? Everything looks great. So many fun things in your kitchen this month. Strawberry jam is one of my favorites! Nice collection of cookbooks. Nigel Slater - sexiest voice on TV - love his shows and books. 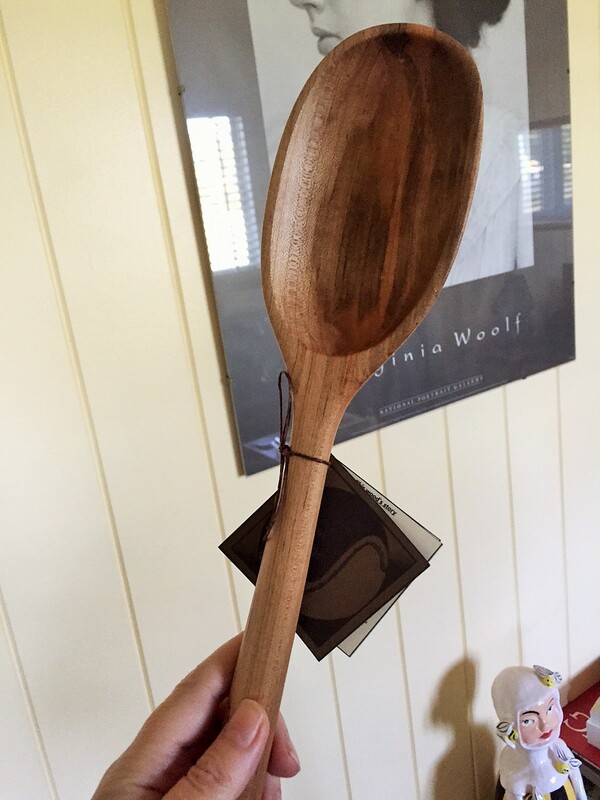 Also love my holey wooden spoons. i know what you mean about his voice! yep holey spoons are so useful.. I remember a postcard from Stanthorpe where someone had hosed down their old hills-hoist and it ended up with foot long icicles. Brrrr. You are going to have to explain what a spurtle is, it's a complete mystery to me. 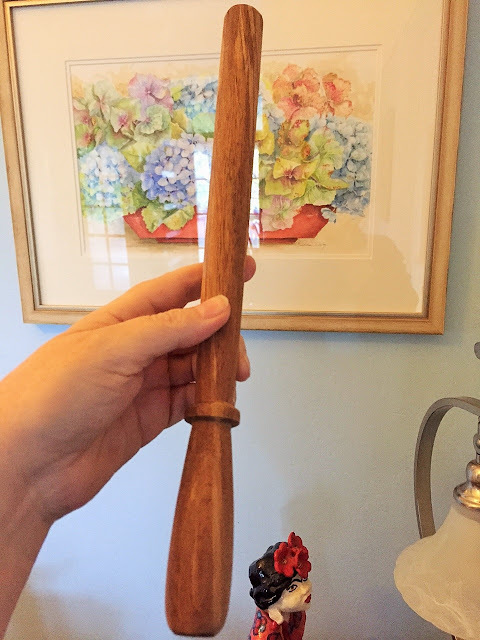 a spurtle is an ancient Scottish implement meant for stirring porridge. they work a treat! You weren't kidding when you said books galore! 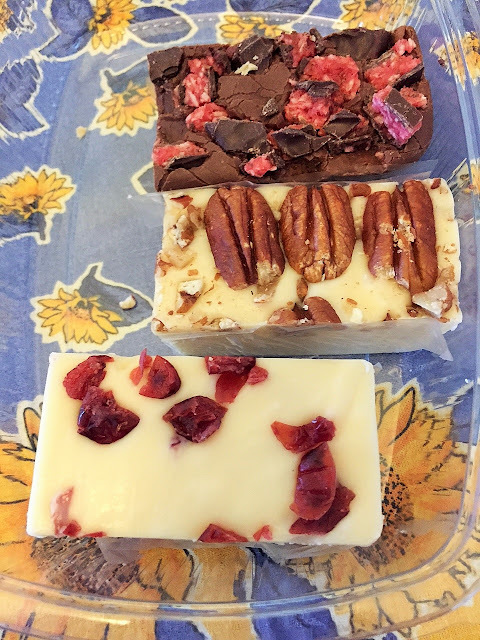 I want the fudge, cream liqueur, and the olive oil! It's been a good month for you. Happy Birthday! thanks nikki! yep i had a great month. so many goodies- lucky me! What an absolute treasure trove. Loving your cookbooks. Nigel Salters books are always so good to read as well as cook from. yes he makes great stuff at new england larder. I was indeed lucky. I love that Bush Buddha – he's so cute. More lovely wooden spoons Sherry – you know you really should do a post about all the spoons you have! 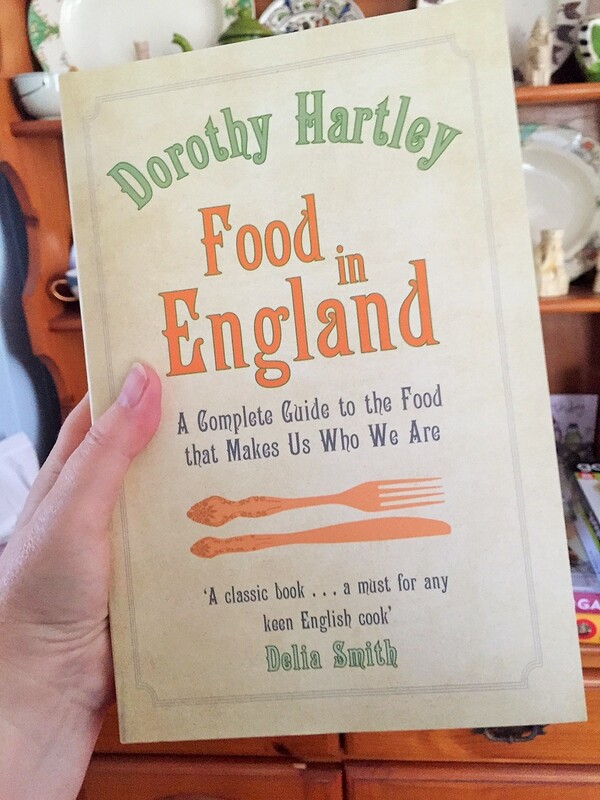 I'm quite jealous of that Food In England book – I really enjoy food history. Ps: I love Nigel Slater too. A crowning moment was a tweet I received from him. wow fiona. i am jealous! a tweet from nigel S. I was really amazed and pleased when marian keyes the irish writer and baker started following me on Instagram. that was a huge thrill! thanks emily! 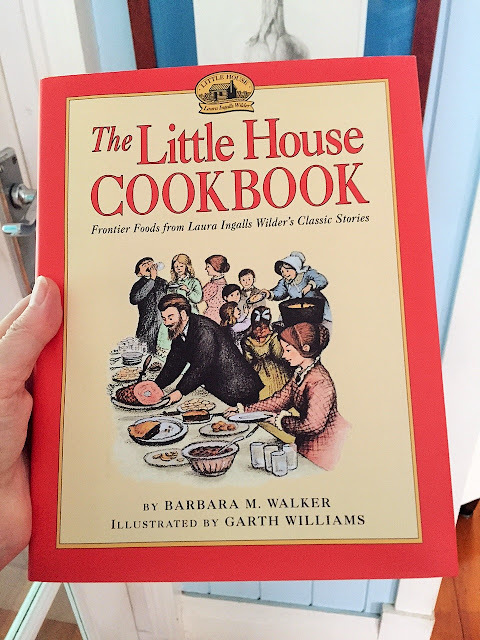 i love cookbooks, especially old fashioned or community ones. I would love to hear from you. Please leave your comment and I will reply as soon as I can. If you have problems commenting, please try without your WordPress profile. You can try Anonymous (add your name in the text) or your Google account if you have one. Hi, I'm Sherry. I live in a sunny State of Australia with my hubby and lots of wild birds. I spend my time cooking, reading, travelling and thinking about food:-) Please join me! "I am Picking out all the best things in life." Things I am involved in! All content provided on this "sherrys pickings" blog is for informational purposes only. The owner of this blog makes no representations as to the accuracy or completeness of any information on this site or found by following any link on this site. The owner of http://sherryspickings.blogspot.com.au/ will not be liable for any errors or omissions in this information nor for the availability of this information. The owner will not be liable for any losses, injuries, or damages from the display or use of this information. © Sherry Mackay. Picture Window theme. Powered by Blogger.